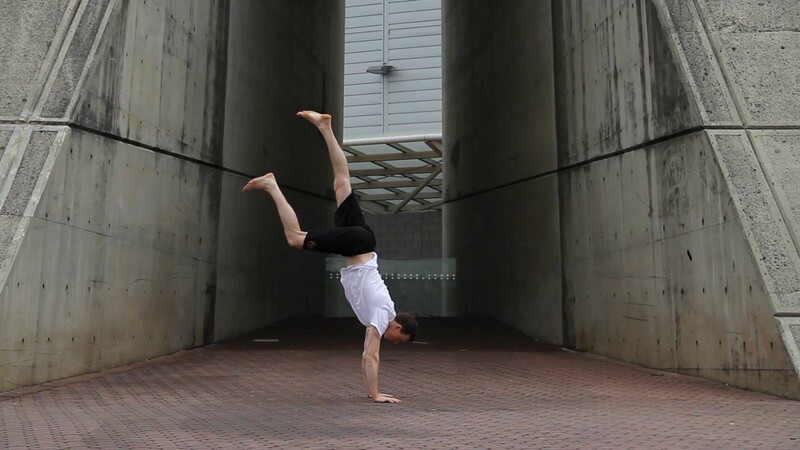 This tutorial goes through all the basics of learning the handstand on the floor. Click any picture below for a more detailed description. 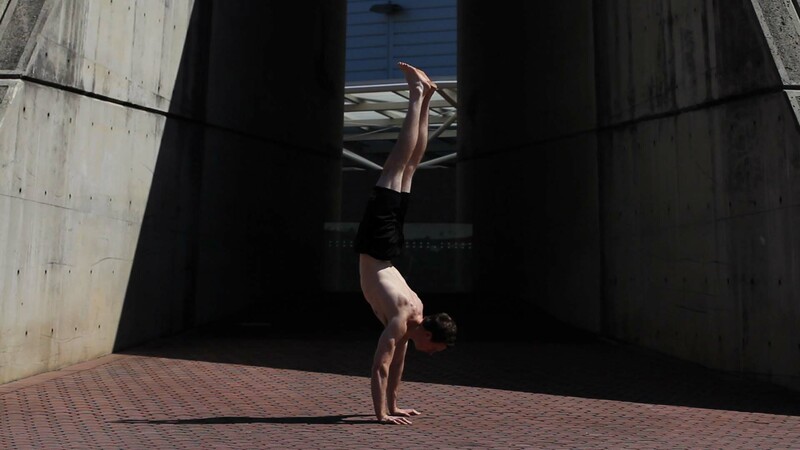 A good handstand depends completely on form. 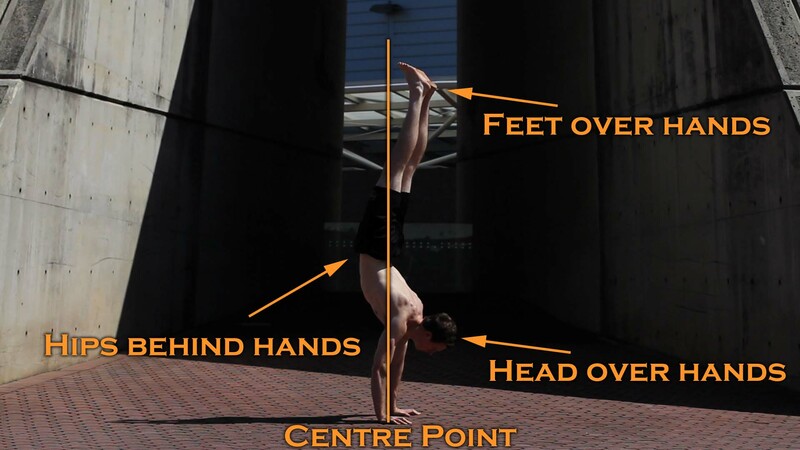 Training the correct positions that are detailed in this tutorial will allow you to progress much faster towards the handstand and more impressive skills such as the 90-degree handstand push-up! 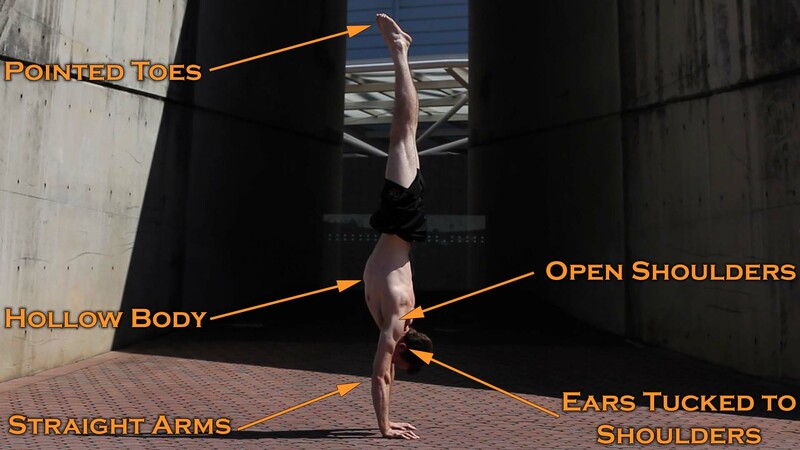 Once you have mastered the handstand on the floor, please see this tutorial to learn how to take the handstand to the rings. 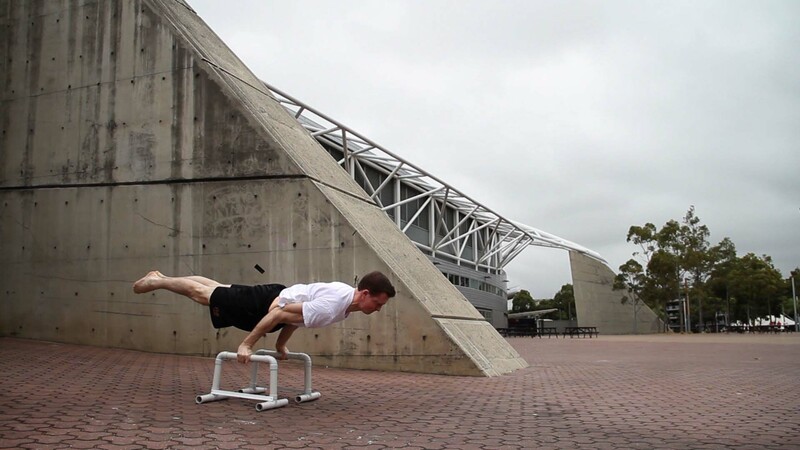 Training the correct form from the very beginning is essential - the importance of this cannot be stressed enough. It is important to understand what this actually means. Notice the angle of my shoulders on the right is more obtuse compared to the image on the left. 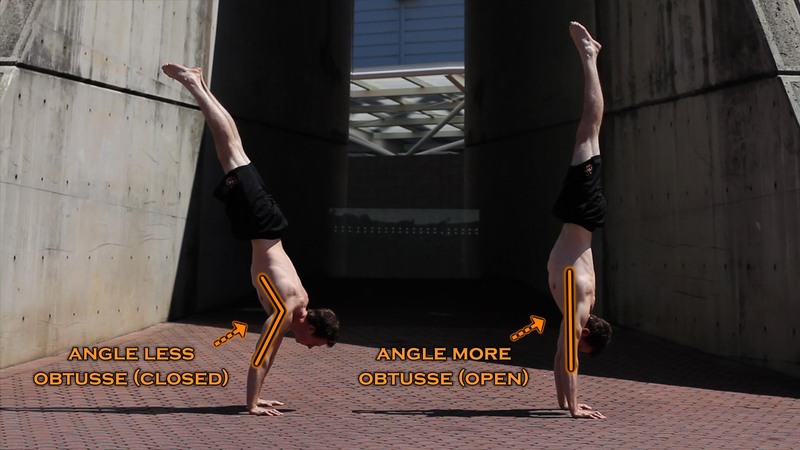 The image on the right is demonstrating shoulders that are more open compared to the image on the left. 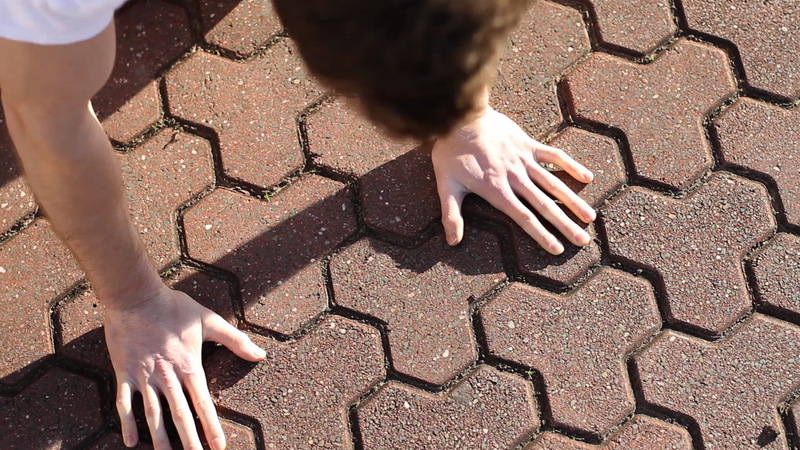 As the degree of openness increases, this angle becomes more obtuse. 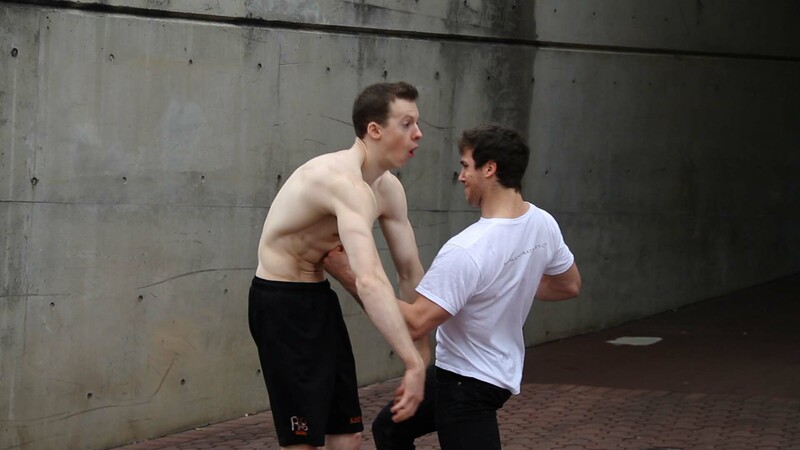 When first learning how to create a hollow body position it is helpful to liken it to an angry cat, or the position you would take if being punched in the abdomen. The hollow body shape is very important. 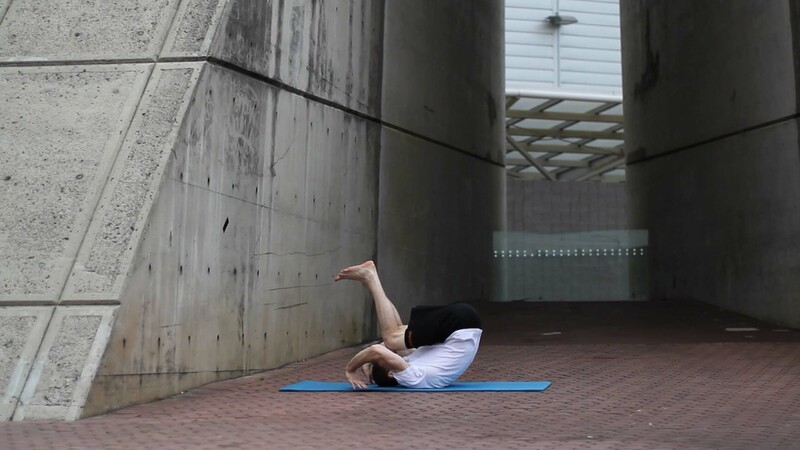 Note the arched back below and how this pulls everything out of place (shoulders, legs, head) and puts undue pressure on the lower back. 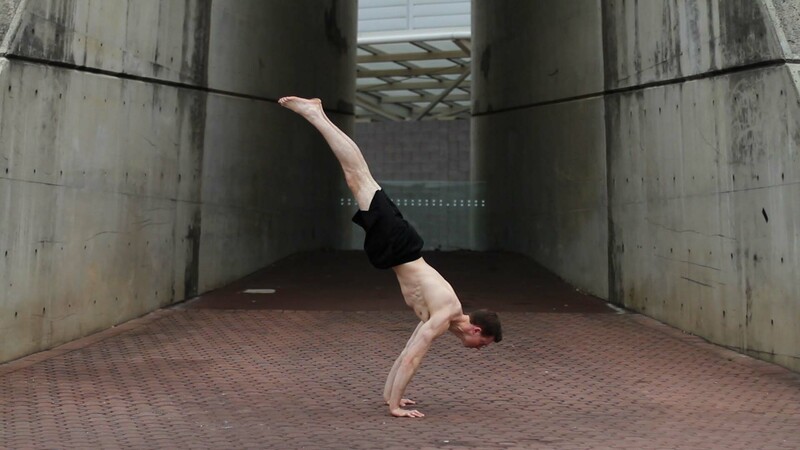 Straight arms create a sturdy base for balance. 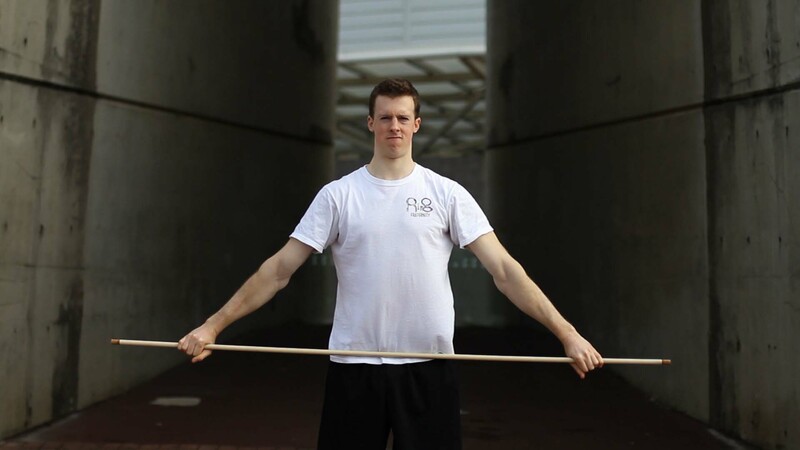 Bending puts unnecessary pressure on the wrists, forearms, triceps and shoulders. 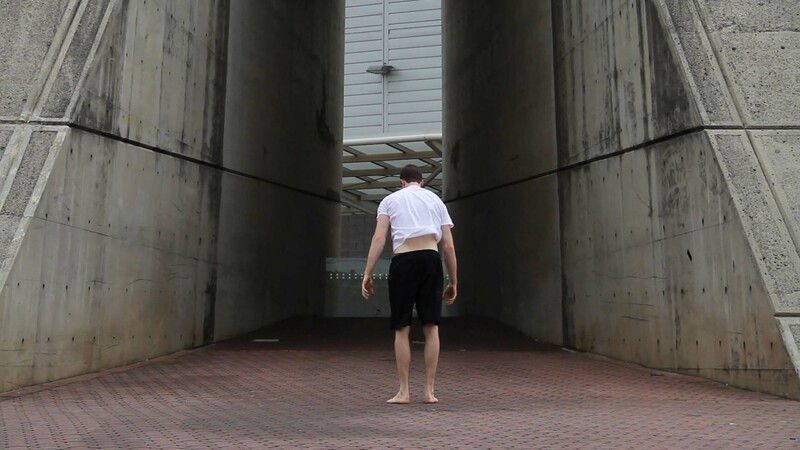 Looking too far forward throws off your centre of gravity, and produces the arch shape – it is very difficult to maintain the hollow body shape when the head is looking forward. 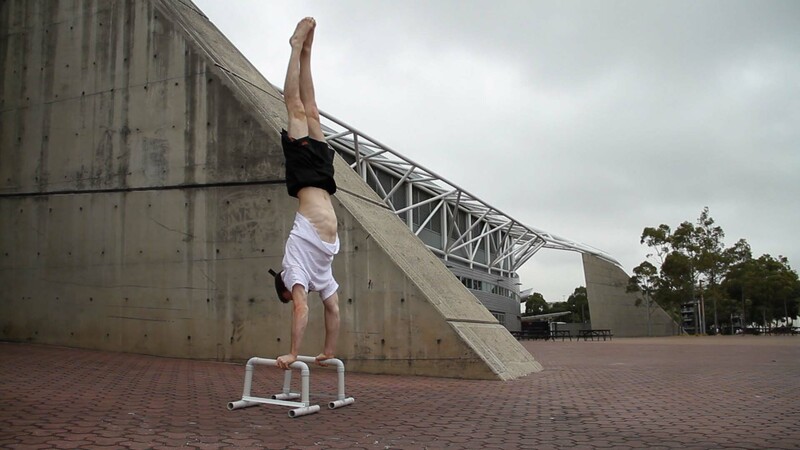 This is important for more than just aesthetic reasons; this helps to keep everything tight and rigid (essential for a strong handstand). It involves flexing the calves, quads, and so on. To hold a strong handstand all of the body must remain rigid. 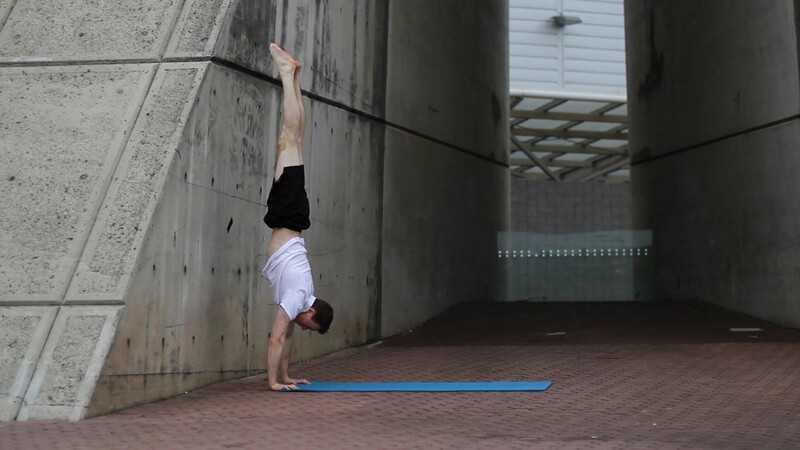 Note a perfectly balanced handstand will result in very little effort from you. 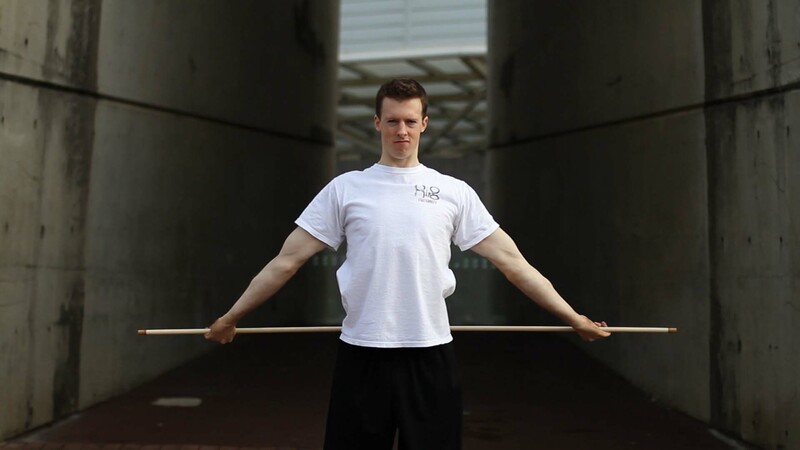 When balanced, the weight passes straight through all the joints resulting in very little muscular expenditure. 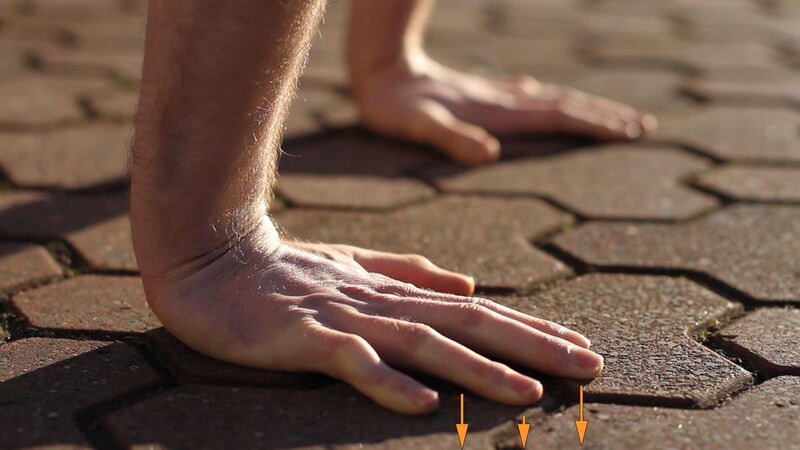 Note how the pivot points of the body (hands, elbows, shoulders, hips, knees and toes) are all in a straight line; no part of the body deviates from this straight line. 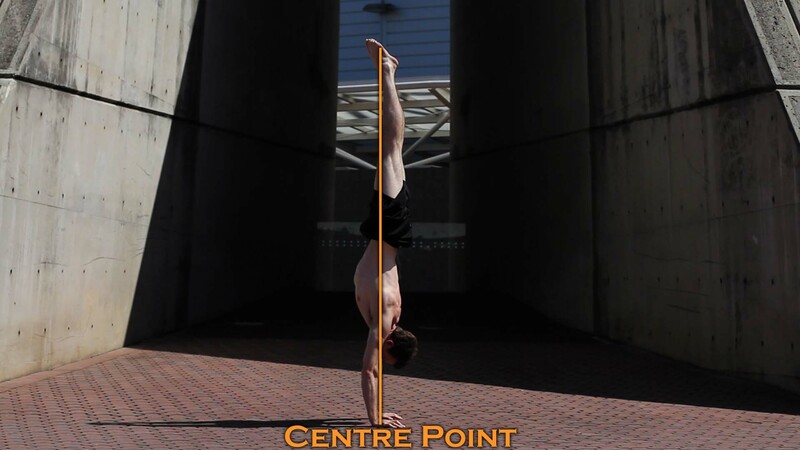 If a body part deviates from this axis you will notice that another body part must compensate by lying to the other side of this axis (as previously illustrated in the arched back section). 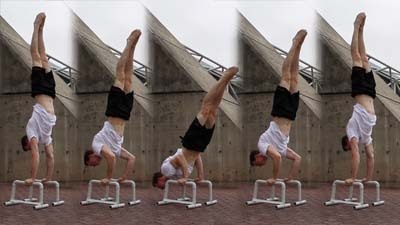 For example; should the shoulders be closed, to balance the position the shoulders shift infront of the hands and the feet shift behind the hands. The more off balance, the more strength is being used to hold it. So you aren't restricted by fear; a perfectly balanced handstand means you are equally likely to misbalance either way and it is important to be comfortable with exiting the handstand either way. Turn out. 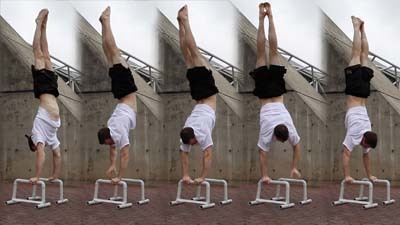 The simple turn out can be used if you are leaning too far forward. 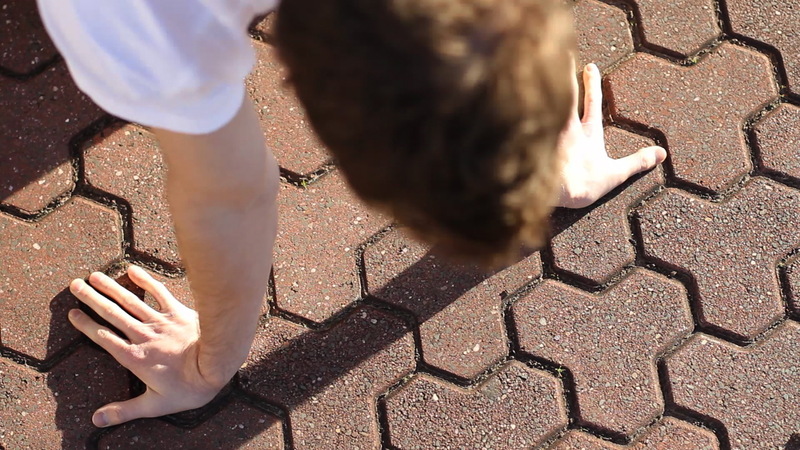 It stops you from flipping and should come naturally. Forward roll out. It may take some training to get a smooth roll out. 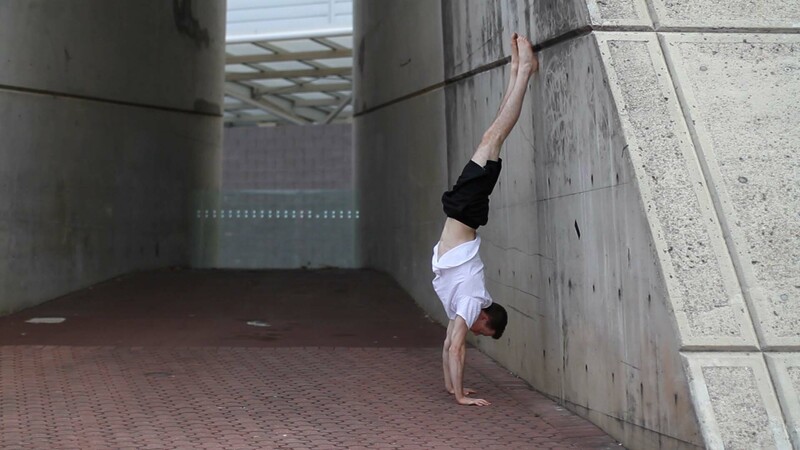 When mastered it will allow you to go for a perfectly balanced handstand with no hesitation as you can comfortably roll out at any time. A benefit of learning the forward roll is it gives you more time to fight to correct the handstand before exiting. 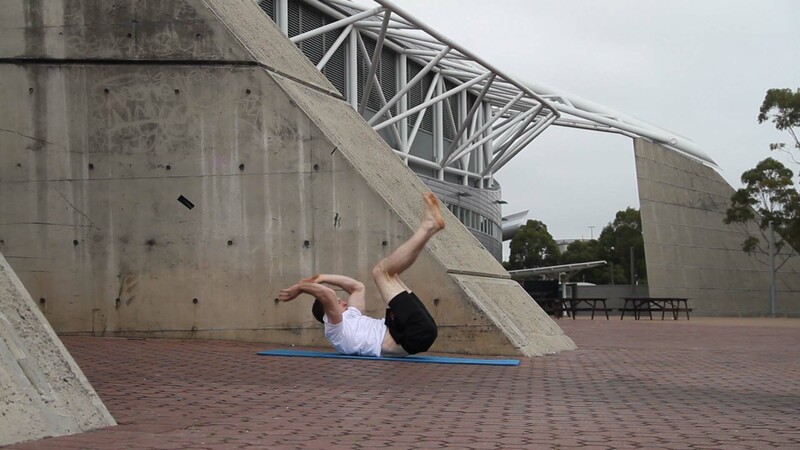 To learn how to master the forward roll, please check out our forward roll tutorial HERE. 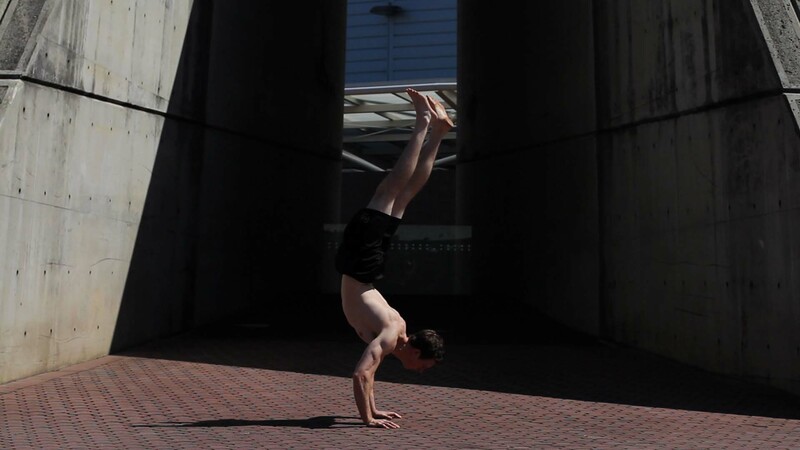 Remember a perfect handstand is the balance between falling one way and the other: they should be equally likely. 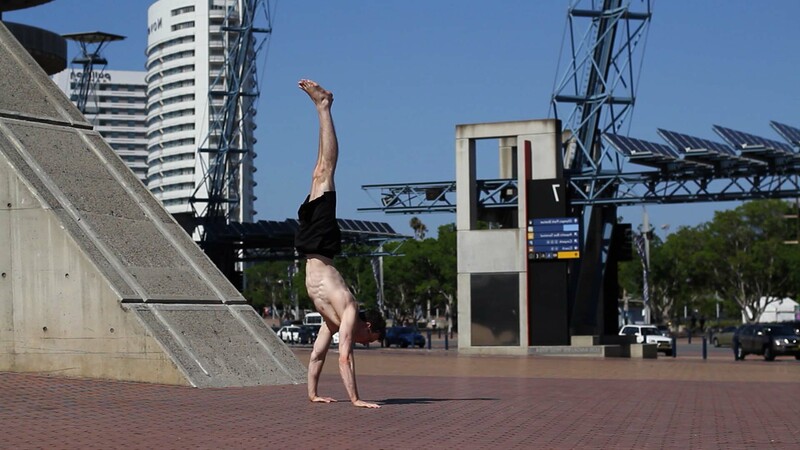 That is you should be falling forwards as often as you are falling backwards; only when they are balanced out is when you will actually be balancing the handstand. It is important to warm up your wrists before training the handstand, as they will be bearing a lot of the effort. 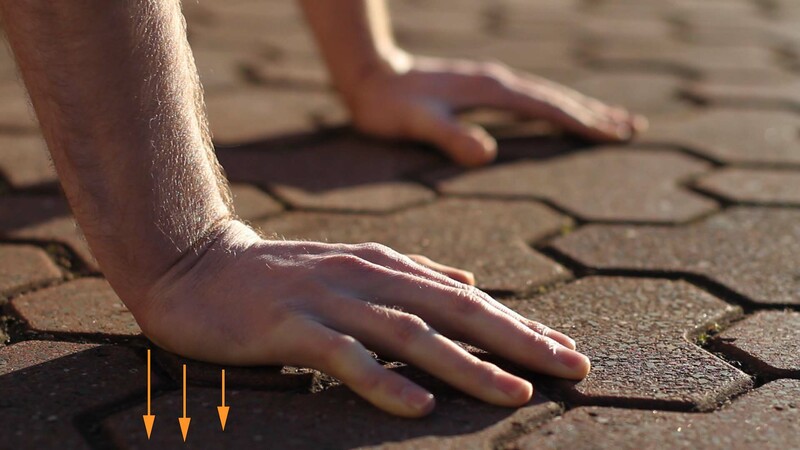 Perhaps counter intuitively; a softer surface is less supportive to the wrist than a hard surface. 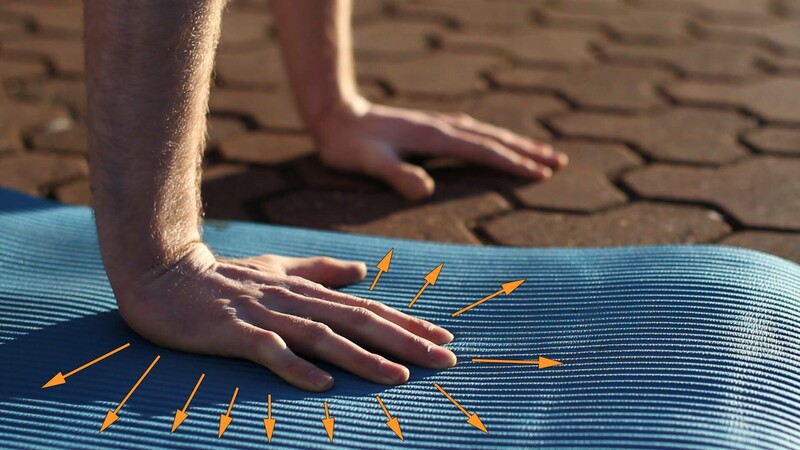 This is because a softer surface absorbs the force from the hand while a hard surface counteracts the force coming through your hand, enhancing stability. 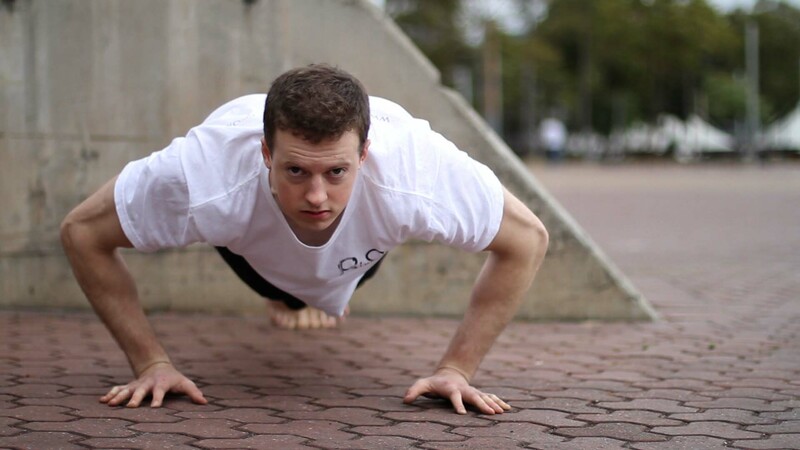 These are going to target your upper body and get the blood flowing. Remember to keep a tight hollow shape in both these exercises. 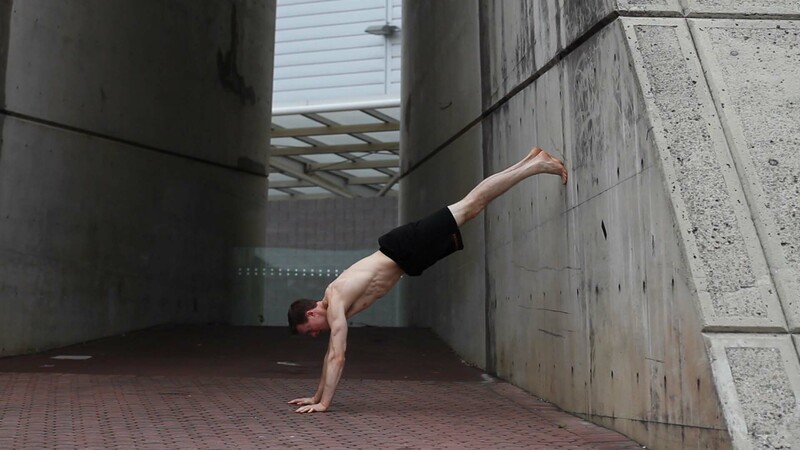 In the walk-up-the-wall handstands go as far as you're comfortable. 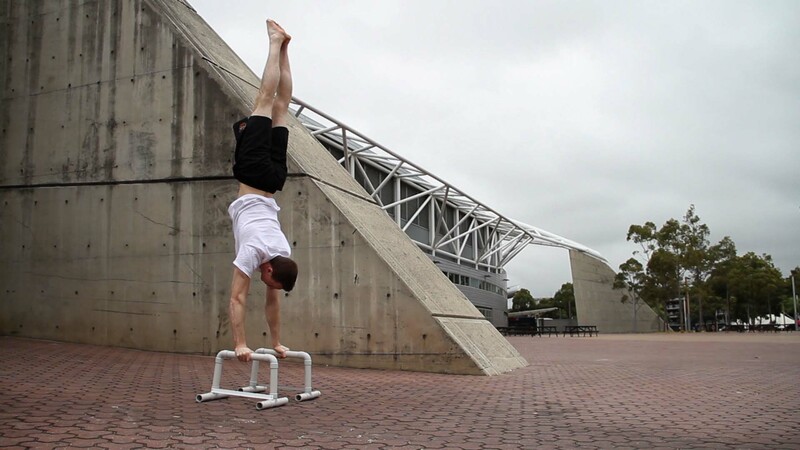 You can work on these exercises everyday aiming for 30+ push-ups and 10+ upright walk-up-the-wall handstands. 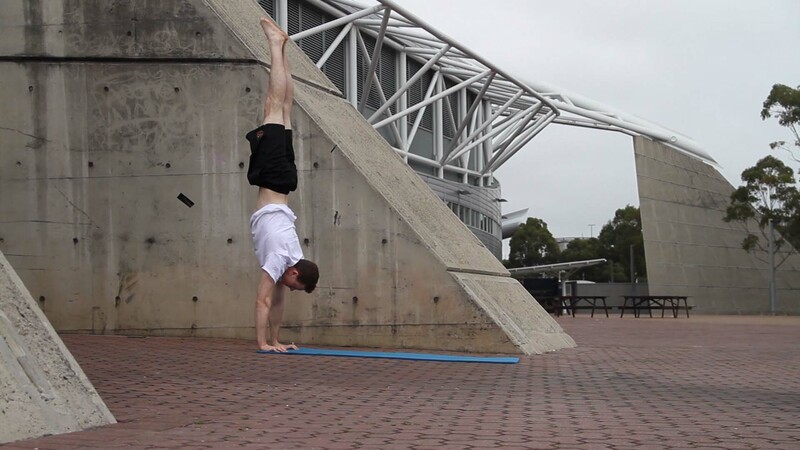 Hovers will help prepare the core and midsection for the handstand. 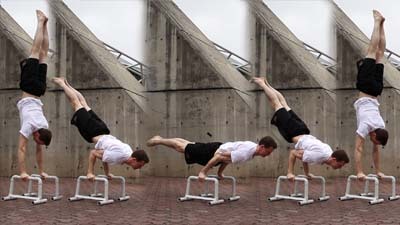 The abocve image is how a hover should look, with more precise pointers on form outlined in the description of the images below. 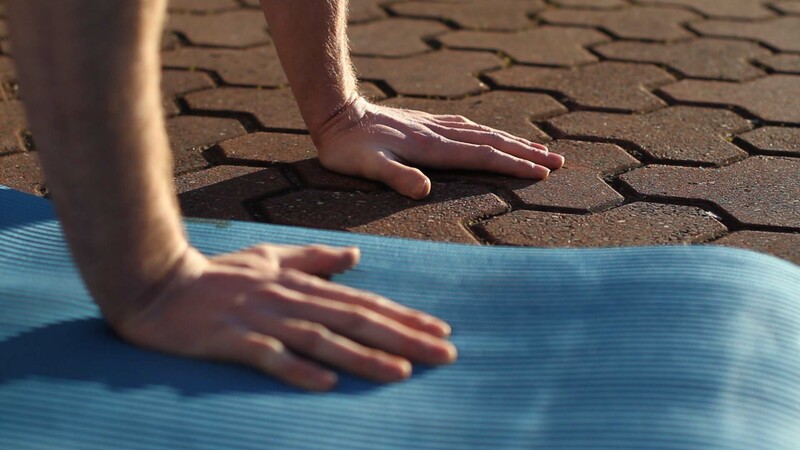 Hold this stretch for at least 20 seconds, performing this for 3 sets. 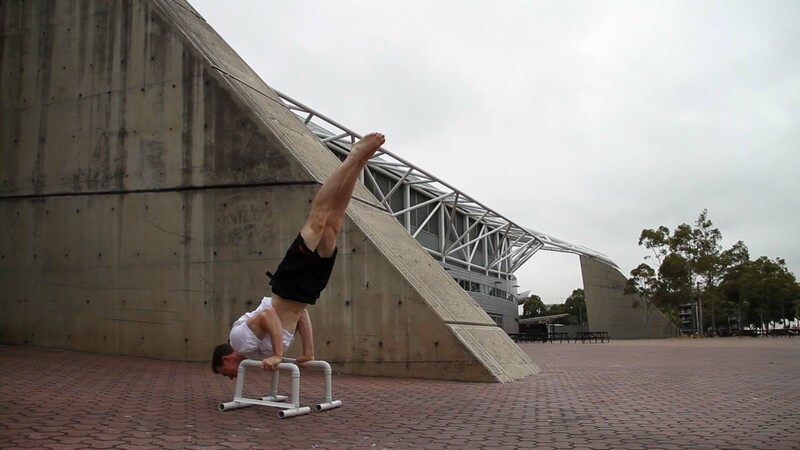 Perform 5-10 repetitions of the dislocate (both forwards and backwards), for 3 sets. 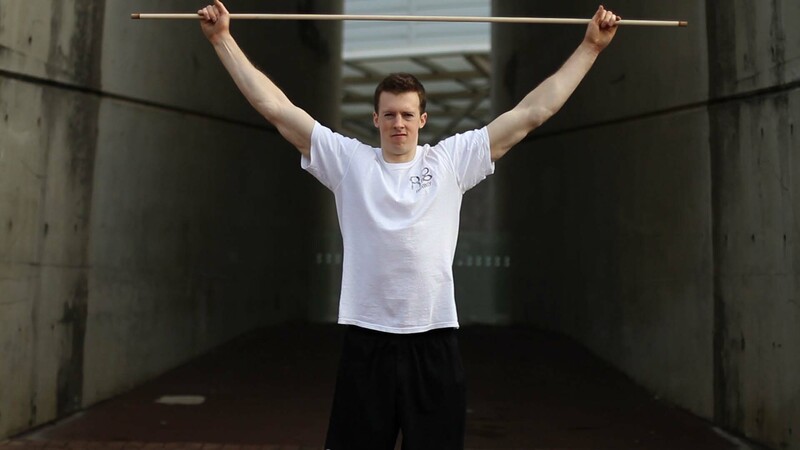 When choosing the width to grasp the bar, endeavour to find a 'challening' point. 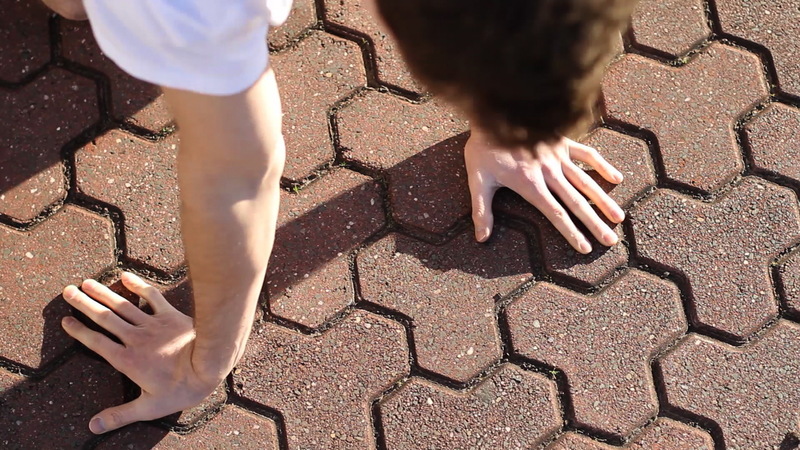 This should be a width that doesn't make the dislocate easy, but also, doesn't make it painful. 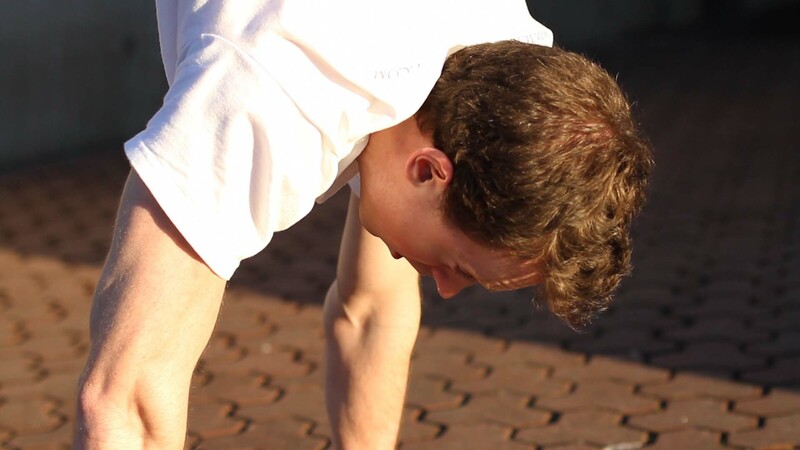 Strive to move only your shoulders to complete the movement; don't go up onto your tip-toes, or shift your lower back to get the bar around. 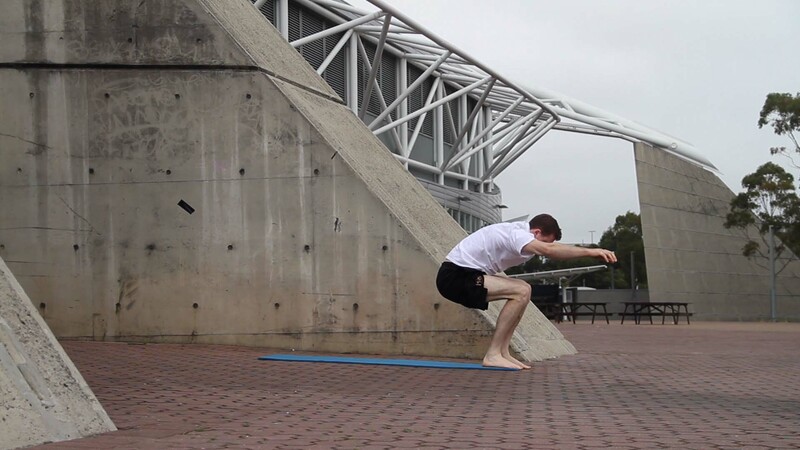 Note this method will likely result in an arch since having your legs infront of your shoulders develops this shape. 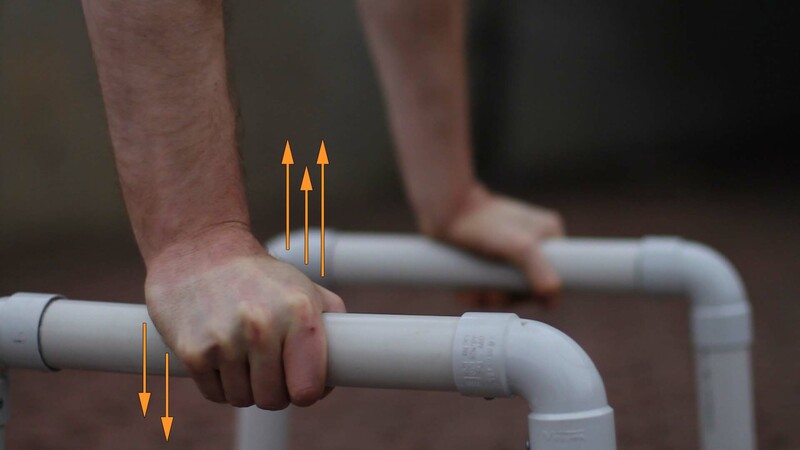 This shape is incorrect form, so it is a good idea to progress to the lean OFF the wall as fast as possible. 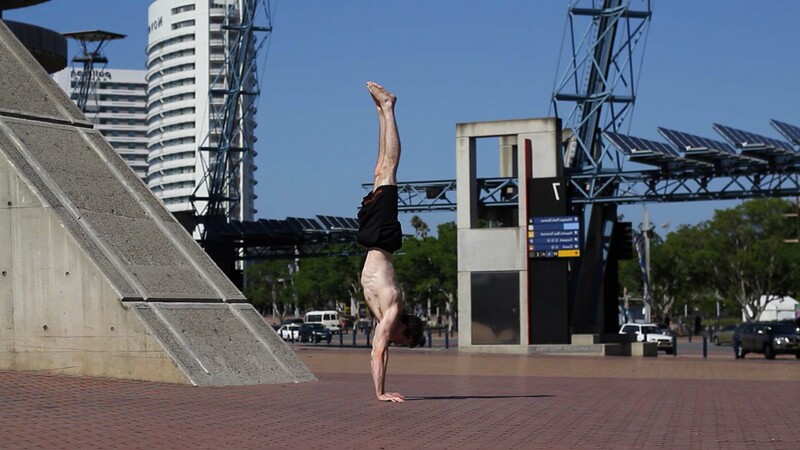 Freestanding handstand (kicking up into it) - This is going to be the most frustrating phase; learning the balance takes time and effort. Consistency and patience are essential. 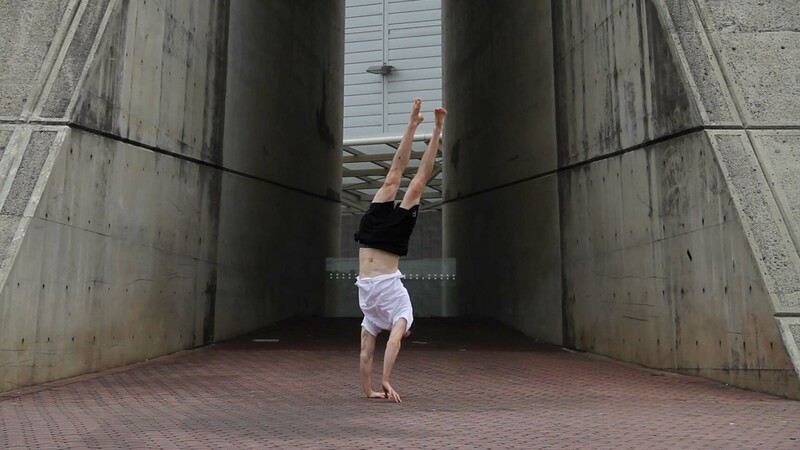 To stay motivated check out some of the advanced handstand skills at the end of this tutorial (also demonstrated in the VIDEO). These awe-inspiring skills certainly make learning the handstand worthwhile! When in the handstand, and assuming you're abiding by the form presented earlier, you can make balance corrections with both the wrists and shoulders. 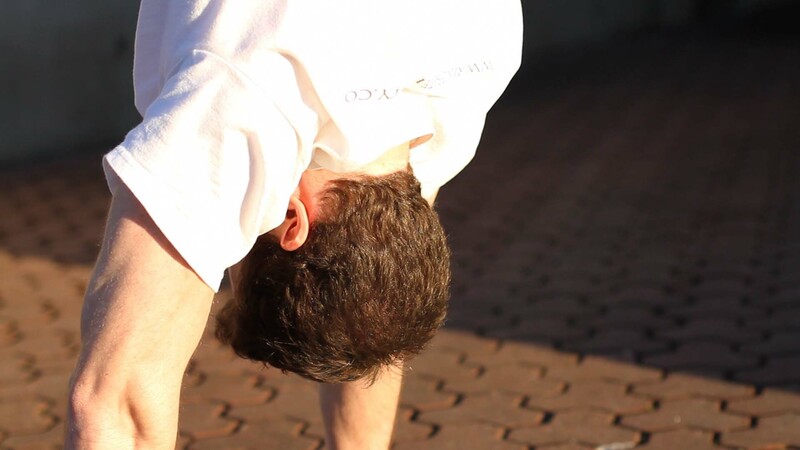 Push your fingers into the ground if you feel like you are going to flip and push your palm into the ground if you feel you are falling back the way you kicked up. 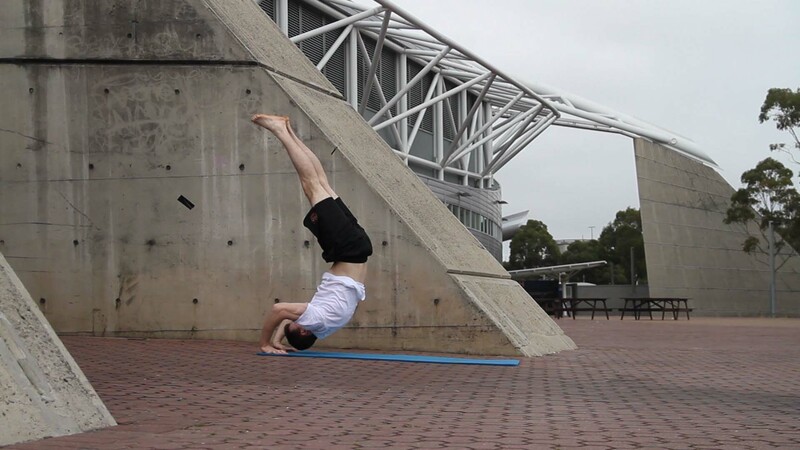 You can also balance by either opening the shoulder angle when leaning too far forward or compensate for falling backwards by closing the shoulder angle. The stronger you are the greater the adjustments you can make. 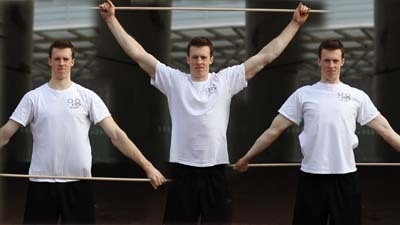 Shoulder corrections require more strength than wrist corrections, though they can help recover from greater imbalances. The best way to learn these corrections is simply by practice. 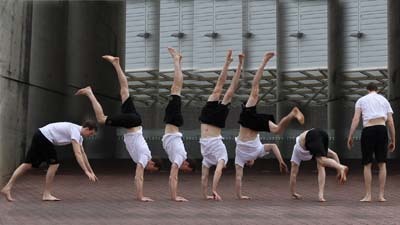 DO NOT get into the habit of walking on your hands to re-balance. 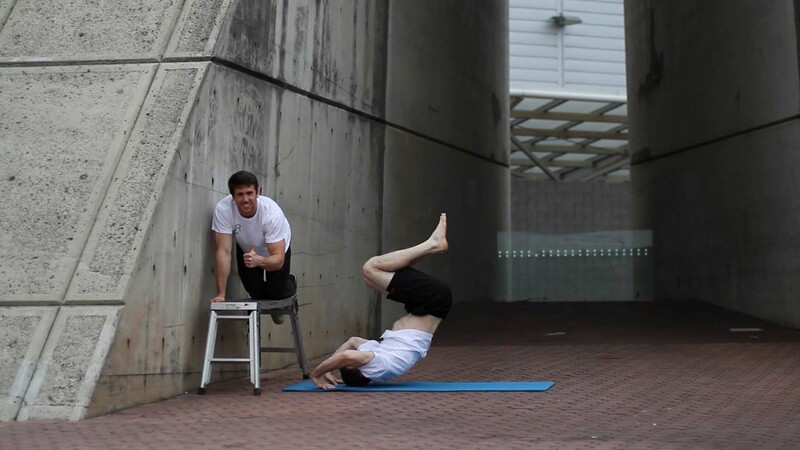 Instead, try to fight the loss of balance with your muscles. 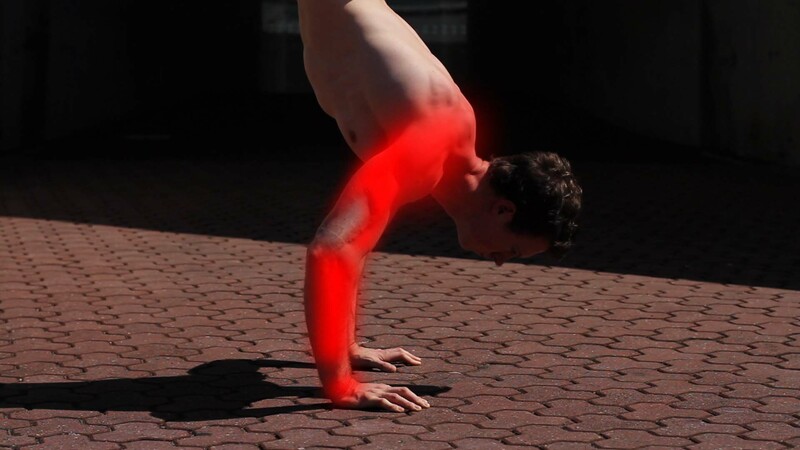 This way you will learn how to engage the right muscles to correct when off balance. If you can hold a handstand in the same place comfortably you will have no problems walking on your hands if you so desire. The reverse however does NOT apply. To master the handstand you can take it to parallettes. 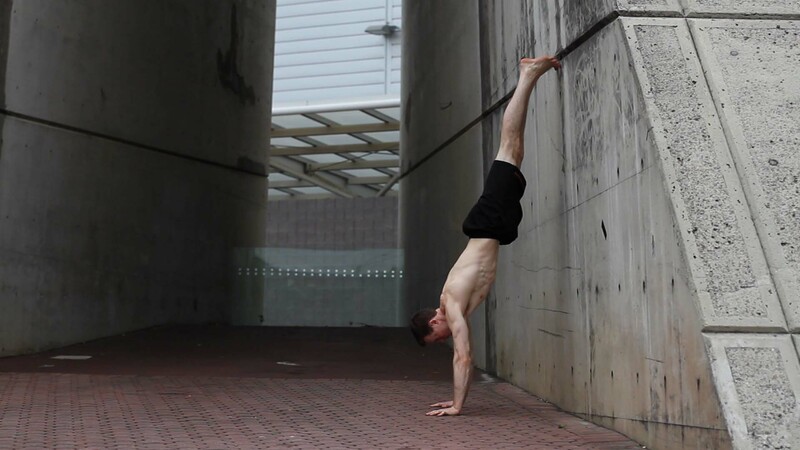 These actually make handstands easier as they reduce the load on the wrist due to the more natural positioning and also increase the amount of control you have since you can use the wrists to push and pull to a greater degree than on the floor. Go from open shoulder to closed shoulders (both explained previously) to really train shoulder flexibility, body tension, and planche strength for all those minor corrections. 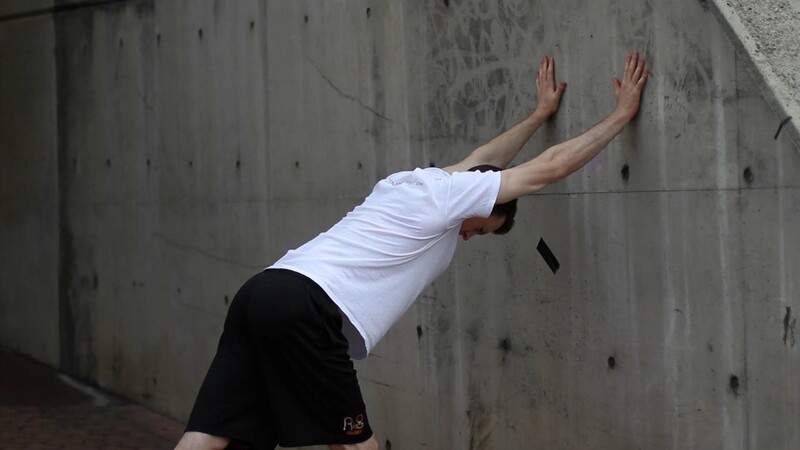 You should start subtle and go through a larger range of motion as your control gets better. This will result in greater control of your handstands and a more solid handstand overall. Rings Handstand - a MUST since this is the ring fraternity after all! Please check out the rings handstand tutorial HERE for a more in depth description of taking your handstand to the rings! – It is another progression from both the floor and parallettes so you will need to be comfortable with these first! 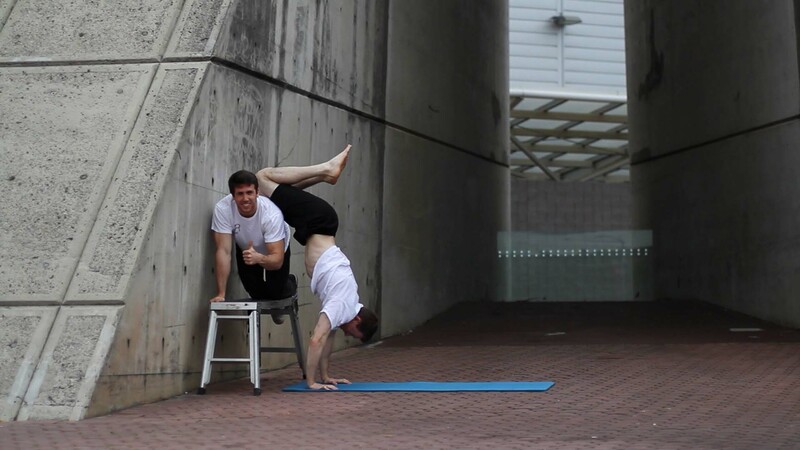 Good luck with your handstand. If you want to share your success, air your distress or have any other questions, go over to the FORUM and post a comment!